Autumn is rolling surely towards winter with rain interrupting the olive harvest. Traditionally the coldest days are mostly in January and February but now until the winter solstice with days getting progressively shorter there is a temptation to semi hibernate! The sheep huddle together and are very interested in the hay in their manger and the home grown oats in their trough. I settle for semi hibernation in the kitchen; a hot oven with the wafting scent of bread and maybe something sweet is a good tonic for overcast days or long evenings. Many people think of Tuscany in terms of summer foods; and I agree that there are few dishes finer than say panzanella (bread salad) or papa al pomodoro (tomato and bread soup) but they are NOT what you want at lower temperatures. In fact remember to give any restaurant that is still serving them a wide berth! Now is the time for Tuscan ribollita soup, which you will see served at other times but which really needs good cavolo nero (Tuscan black kale) and slightly chilled fingers to appreciate properly. It is another example of making the best of a few simple but good ingredients to make something delicious, nutritious and thrifty too. These qualities abound in Tuscan cooking, which is very much home cooking; grinding poverty was widespread until the post war years. Have you ever wondered why black pepper was not much used? You had to buy it, whereas you could grow chilli peppers, although even these were not so widely used as in some southern Italian areas. Food is still intensely local, often home grown or foraged; an example of this is Castagnaccio. A chestnut flour cake made with olive oil, a sprig of rosemary and if you were feeling festive a few sultanas (home dried, of course) and maybe a walnut or two. This cake is flourless, sugarless and eggless (as hens would be laying less in autumn) and relies on flour made from chestnuts that would have been gleaned from the forests on Monte Amiata. When times were hard chestnuts would have substituted for bread and people were deeply respectful of them. Castagnaccio epitomises Tuscan peasants making the very most of what little they had; as well as being a sweet treat it is a special reminder of the often bitterly hard life that was the norm here. Unless one wishes to treat Tuscany as a theme park one should note and pay attention to the signs of history. One that is within living memory here. When I farm, something I had the luxury of choosing to do, I remember those who had no luxury and little choice. And feel deep respect for them. 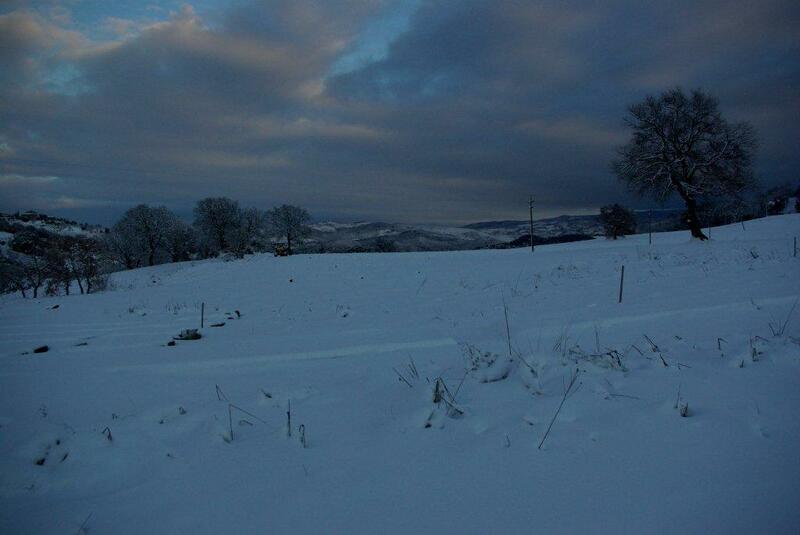 The ramblings of this Tuscan Farmer seem to have jumped from late winter to autumn, but I would like to reassure you that spring and summer did make an appearance in Tuscany! Although many locals complained about the validity of these seasons given the amount of rain that fell. For trainee peasants such as myself, with few resources to irrigate my new vines I will admit to having been not totally unhappy seeing bountiful (and free) water coming down from the skies. 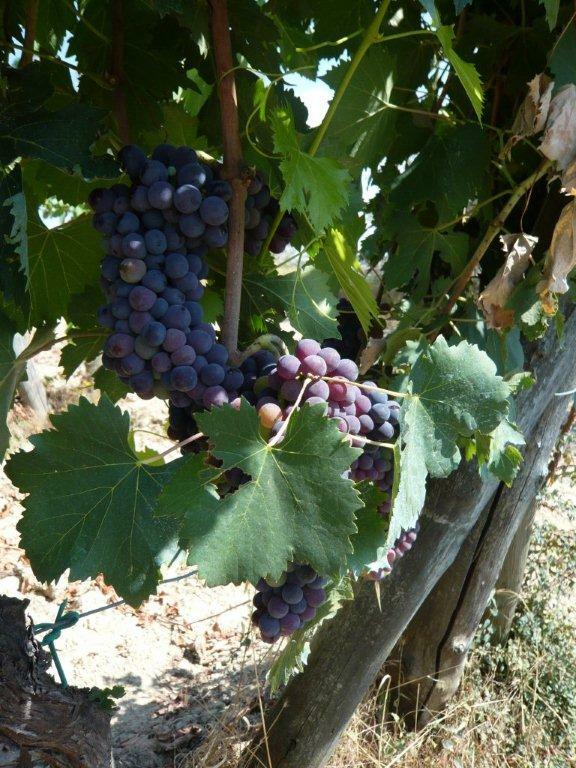 Last year’s summer fried my newly planted baby Sangiovese vines; quite enough to make me grateful for rain. Mushroom lovers and truffle fiends will also be delighted with the effects of this year’s weather in Tuscany; this autumn should see the return of the profusion of fungi that adds so much to the Tuscan table. Truffle hunting friends seem to have been paying special attention to their dogs training; it seems that they think that this autumn is going to be a happy hunting ground for them. 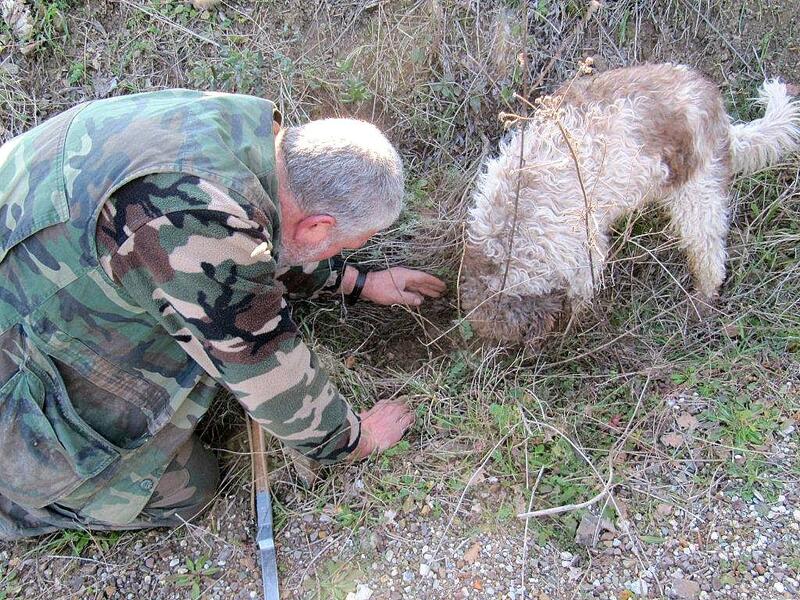 As you will see from the photos truffle hunting, like hunting ( to translate the word Caccia properly, although it always sounds strange to English ears) demands a certain style of dress (‘not too scary Mercenary’ as I always term it) and Dogs. In the case of hunting the truffle the dog may not seem the best that Cruft’s could provide. But they are chosen for their nose rather than their looks (a first in Italy?). The advantage of the dog over the pig (which were used here as well as in France) is that the dog only wants praise and a modest reward; the pig wants the truffle, the whole truffle and nothing but a truffle. Have you ever tried arguing with a hefty scrum half down at ground level? 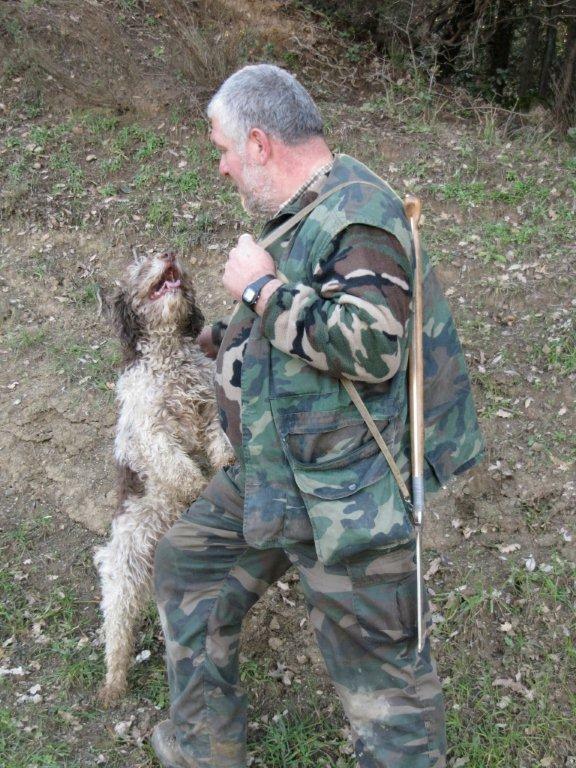 No, nor me, but I think I would lose….and so does the truffle hunter. So dogs it is. So off goes human and four legged (well trained) friends to seek out black gold. Which in these here hills they actually find, in autumn and early spring (the so called March truffle). And cooking gets a big lift! Roll on the San Giovanni d’Asso Truffle Fair in November (the second and third weekends) an event you can scent before you arrive. How many other places have a Castle (brick built Sienese) with a Truffle Museum? This year has been notable also for something else liquid apart from rain: wine, my first wine from a small borrowed vineyard! The 2012 harvest is now bottled and awaiting good homes. I have been delighted (and almost surprised and humbled) at how well it has turned out. But I suppose that it is like cooking; choose (grow) good quality ingredients and then treat them with respect and let them speak for themselves. So overall a good and beneficent year so far; bread, truffles and wine (the sheep are well but off limits: after all I am only a trainee peasant). La dolce vita doesn’t taste bad! It has been raining rather a lot here around Montalcino over the last few weeks, apart from a brief variation on a theme with snow, so my mind is more attuned to water than oil at the moment. One of the (many) pleasures of living here are the thermal springs that abound, thanks to our extinct volcano on Monte Amiata. These are greatly appreciated by Italians and each area has its own adherents who swear by the curative nature of the water. 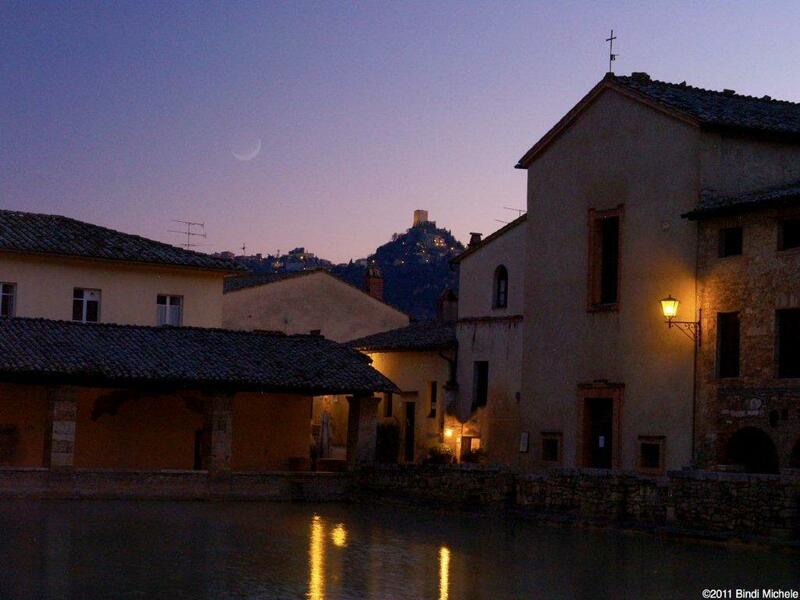 In terms of sheer beauty and atmosphere I think it would be hard to beat Bagno Vignoni with its Medici built vasca in the centre of town where you would normally find the main piazza! With swallows swooping and screaming at dusk in summer or on a chilly winters day with the steam rising from it, it lifts the spirits. Although one can no longer bathe in it there are a few good hotels surrounding it where you can swim in the warm water. Alternatively there is free paddling just down the hill, good for resting hiking weary feet in spring or autumn! For the most uplifting waters my favourite is Bagni San Fillipo a little further down the Via Cassia; here you can smell the place before you see it when the wind is in the right direction, due to the sulphur content of the water! Whiffy it may be but for making your feet feel as though you have been walking on air and for a wonderful soothing effect on the skin, it is unbeatable. The bathing establishment there closes from autumn until spring but there is quite easy access to the stream for DIY water treatment. There are serious curative spa establishments at San Albino near Montepulciano and at Chianciano Terme, the latter having a catchy jingle which runs ‘Chianciano fegato sano’ Chianciano for a healthy liver! What the water actually tastes like I cannot say having hitherto left my liver to its own devices, unlike many locals who flock there from all over Tuscany and beyond. Water, water everywhere; after last summer’s drought here it is welcome, whether it is at a thermal spa or falling on the woods and fields. In agriculture and building restoration flexibility is important and I have decided to bring some of that flexibility into this blog. 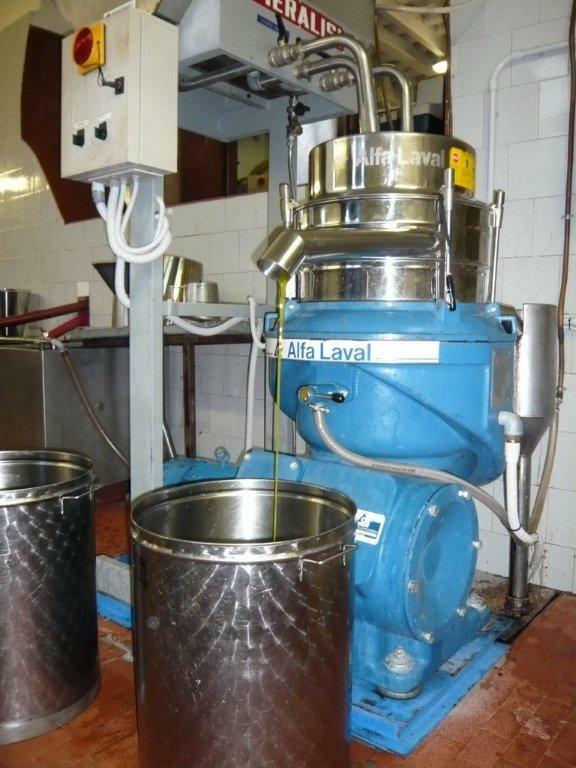 So the subject today is not this years olive harvest as previously threatened. Instead it is the sheep who have been capturing our attention lately. As weeds (or ‘rough grazing’ as I insist on calling it) are something we do well we need to help with keeping them under some control. The deer now prefer our succulent new vineyard to nibbling common weeds. So it was a choice between the combustion engine or the four hoofed. Combustion engines need driving (tractors) or walking (strimmers) around the weeds, often break down and use lots of diesel (which doesn’t grow in our fields). Four hooves it was then. And it needed to be something that appreciated a bit of rough. At which point we had to sort the sheep from the goats….and observing the evil glint in the eye of some goats and considering that they could strip an olive tree quicker than you could say “not much oil this year” sheep it was. Which brings us to Ercolina and her even younger cousins born over the last few days. Whilst they will take a sly nip at the olive trees as they pass they have mainly been doing good works on our ‘rough grazing’, not to mention lessen the amount of manure we are going to have to spread (less diesel, yippee) in their DIY way. There are now four farm born lambs gambolling around in addition to the original small flock. Lamb is not going to be on the menu; a little sheeps milk cheese, yes, also rustic spun wool, but lamb no. It would be ungrateful to eat the lawnmower. Back to olives next time; the oil is delicious. 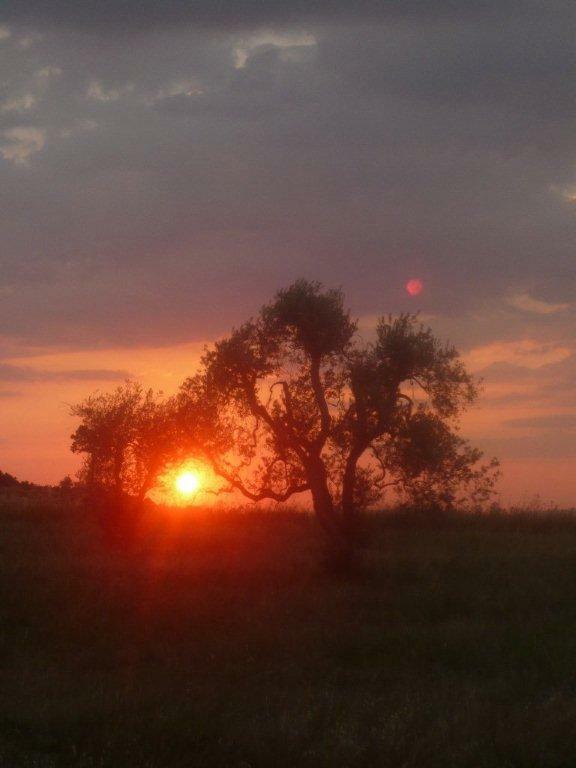 The everyday ramblings of a Tuscan olive farmer. As good a title as any for this blog but I had better point out where you could be misled by some of its components. First; I may not ramble every day, maybe every few days. Tuscan? Unfortunately whilst being a European mix I am not (to the best of my knowledge) descended from the Etruscans. But I do live here and hope that possession is still nine tenths, as in Roman law. Olive farmer, well yes actually, but we do a lot more than olives in these ‘trying to increase biodiversity on the farm’ days: Vines (planted this year and tiny, planted mainly to escape the shame of being the only farm at Montalcino with no vines. It has ‘pub with no beer’ connotations in these parts). Fruit trees (numerous, diverse and doing well despite mutterings that they don’t ‘do’ here. They do if you can stop the deer eating them first). Lavender (don’t ask). Veg (brilliant, from artichokes to aubergines via melons and tomatoes they reassure me that there is something to be said for this farming lark). Fodder for the sheep. Green manures (for the land and our consciences). Weeds…. (quite good at this one). Apart from the sheep we keep we also have many other animals who share the farm with us; deer, wild boar, hare, porcupine, foxes, weasely things, the occasional snake and reputedly the occasional wolf. These are broadly welcome, now that we have fenced the veg, except in the not yet knee high vineyard which has had to be sprayed with something organic with a smell off putting to deer (and humans). The next ramblings will focus on our olive harvest, just finished pressed and gone to London for the Chelsea Physic Garden Christmas Fair.